At Aik Koon, we offer independent, specialist advice that you can trust. Whether you need new tyres, are worried about your brakes or exhaust, we’ve got a team of experienced technicians to make sure that your vehicle is safe and roadworthy. The Aik Koon 24 hours (including Sundays and Public holidays) Callout Repair Service keeps your vehicles moving. Whether your vehicle suffers tyre failure in the rush hour or at midnight, we aim to be with you in under an hour. Join our 24 hour tyre breakdown service today to ensure your vehicle is repaired with the minimum of fuss, saving you time and money. 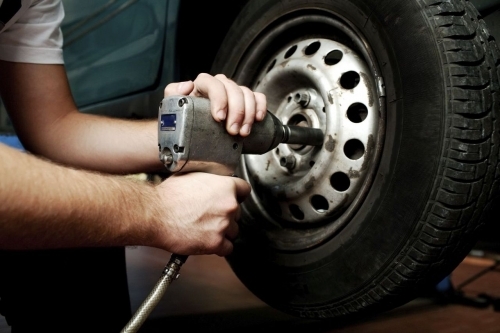 Having the ability to offer a reliable on-site service is key to our customers, we have fully equipped service vehicles handling some of the largest tyres in the Singapore, and trained and experienced fitting staff working efficiently to our high safety standards as documented in our method statements, we are able to meet our customers requirement’s of cost effective but high standard work levels, this in turn giving us our goal of long lasting working relationships with our customers. Our focus is always on the customer. Be assured that we strive to provide you with the best possible service and products every day.